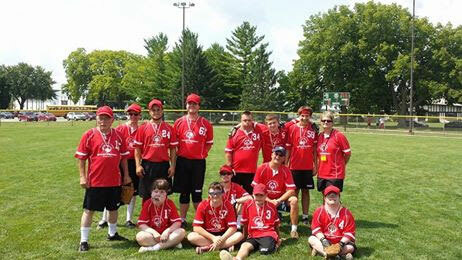 Western Kenosha County Special Olympics softball team traveled to state competition in Waukesha this weekend. The team played three games Saturday and on Sunday they played for the championship and earned the silver medal. Way to go Jennifer Spader and the rest of the team. Very proud of you all..